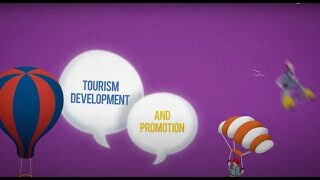 Champion of Regional Cooperation is an annual award of the Regional Cooperation Council’s (RCC) Secretariat for best achievements in cooperation in South East Europe. The award was inaugurated in February 2013 marking the RCC’s 5th anniversary and has been presented by the RCC Secretary General, Goran Svilanovic ever since. 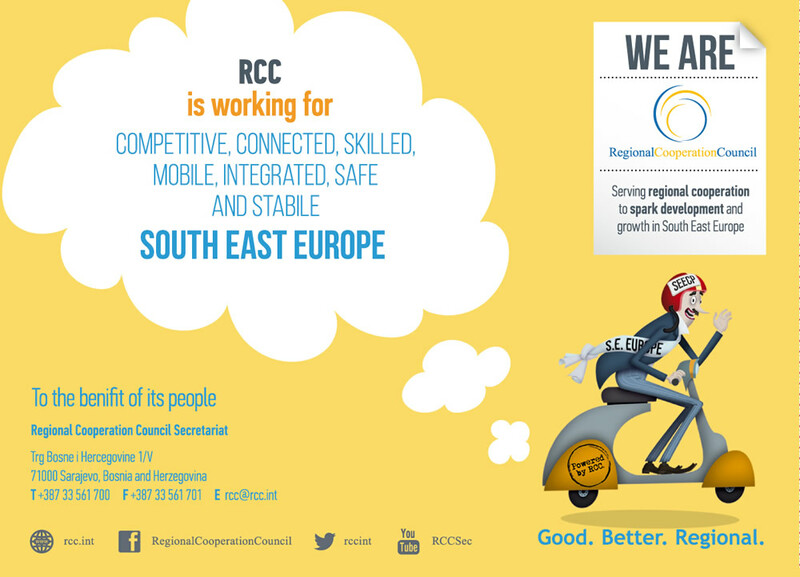 The Champion of Regional Cooperation is an acknowledgment of an individual or an institution that the RCC Secretariat and its Secretary General consider to have contributed most to the development of regional cooperation in South East Europe over the course of the past year. In 2019 the RCC Secretariat selected You are a Sunflower Foundation as the laureate of the Champion of Regional Cooperation award for the year 2018. You are a Sunflower is a non-profit, humanitarian organisation based in Tirana, operating regionally. It is functioning as a foundation, aimed at helping children in need, especially those treated for serious diseases, by providing them necessary assistance and improving conditions of their care. Although very young, You are a Sunflower Foundation has already made a significant positive impact on the lives of many, dealing with the most sensitive group of our societies – children in need, by providing them necessary assistance and improving conditions they live in thus improving our societies. Such actions that spread sprit of solidarity and tolerance beyond national borders, with the language of humanity and empathy, will teach the young generations what is it that really matters. The Award was presented to You are a Sunflower Founder and Chair Albana Osmani by the RCC’s Secretary General Majlinda Bregu on the occasion of the RCC’s 11th Anniversary in Sarajevo on 13 March 2019. In 2018 the RCC Secretariat selected EXIT Festival as the laureate of the Champion of Regional Cooperation award for the year 2017. EXIT was recognised for its social activism, which with the universal musical repertoires bridges language, cultural, political and all other differences, offering new times and a window into the world of tomorrow in a spirit of tolerance, understanding and prosperity. The Award was presented to EXIT Festival Founder Dusan Kovacevic by the RCC’s Secretary General Goran Svilanovic on the occasion of the RCC’s 10th Anniversary in Sarajevo on 14 March 2018. In 2017 the RCC Secretariat selected Sarajevo Film Festival (SFF) as the laureate of the Champion of Regional Cooperation award for the year 2016. SFF was acknowledged for its persistent promotion of regional artistic talents in film industry and development of educational platforms and trends focusing on young filmmakers, producers and directors from the region. The Award will be presented to SFF Director Mirsad Purivatra by the RCC’s Secretary General Goran Svilanovic in Sarajevo on 15 March 2017. The Regional Cooperation Council’s (RCC) recognition for outstanding work in the field of regional cooperation was awarded to the European Fund for the Balkans (EFB), which was selected as the Champion of Regional Cooperation for the year 2015. The Award was presented by RCC Secretary General, Goran Svilanovic to Hedvig Morvai, the Executive Director of the EFB at a ceremony in Sarajevo on 26 February 2016. European Fund for the Balkans was awarded for its outstanding achievements, especially the Fellowship programme for young government officials from the Western Balkans and the Balkans in Europe Policy Advisory Group (BiEPAG), which has brought together the best brains in the region and has so far come up with an outstanding studies on the EU accession route for the Western Balkans and on the bilateral disputes in South East Europe. The Regional Cooperation Council (RCC) selected the Energy Community Secretariat (ECS) as the Champion of Regional Cooperation for 2014. The Award has been presented by the RCC Secretary General, Goran Svilanovic, to the ECS Director, Janez Kopac, at the occasion of seventh anniversary of the RCC, in Sarajevo on 26 February 2015. The Energy Community Secretariat has substantially contributed to the implementation of the RCC’s SEE 2020 Strategy in the area of energy policy. Through its professional performance as well as effective cooperation, the ECS represents a model of a successful regional cooperation organisation. On the occasion of sixth anniversary of the Regional Cooperation Council (RCC), the organization’s Secretary General Goran Svilanovic presented the South East European Centre for Entrepreneurial Learning (SEECEL) with the Champion of Regional Cooperation award for 2013. The award was handed to Efka Heder, SEECEL Director in Sarajevo on 27 February 2014. The SEECEL had been awarded for its active and dynamic approach to regional cooperation, its support to women entrepreneurs in South East Europe (SEE), and for its role of a dimension coordinator that provided valuable contribution to the implementation of the smart growth pillar of the SEE 2020 Strategy for growth and new jobs in the region. A special acknowledgement for the persistent promotion of cooperation in South East Europe throughout her years with the organization and beyond was awarded to Jelica Minic, former Deputy RCC Secretary General. 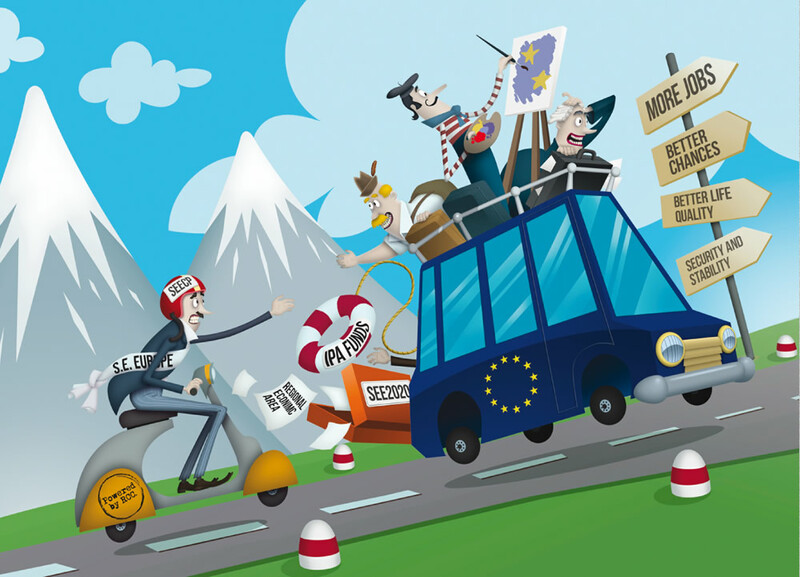 The first laureate of the Champion of Regional Cooperation award was the Central European Free Trade Agreement – CEFTA 2006 for the achievements in regional cooperation in South East Europe in 2012. The award was presented by the RCC Secretary General, Goran Svilanovic on the occasion of the 5th RCC anniversary in Sarajevo on 26 February 2013. The CEFTA Secretariat, led by Director Renata Vitez, has been a key player in the successful implementation of this highly ambitious and important agreement. It has ensured that the agenda of regional trade remains fresh, preparing for new trade topics, soliciting up-to date analysis and supporting successful negotiations of new chapters of trade liberalization, such as trade in agricultural products. 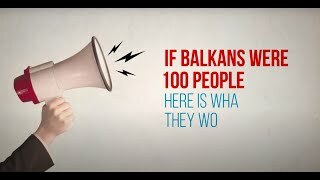 A special acknowledgement for the promotion of cooperation in South East Europe, and for years of work dedicated to the region, will be awarded to Hido Biscevic, first Secretary General of the Regional Cooperation Council, and to Erhard Busek, former Special Coordinator of the Stability Pact for South Eastern Europe.